Back pain can be detrimental and can affect the way that you perform everyday activities. It can negatively affect your home life. 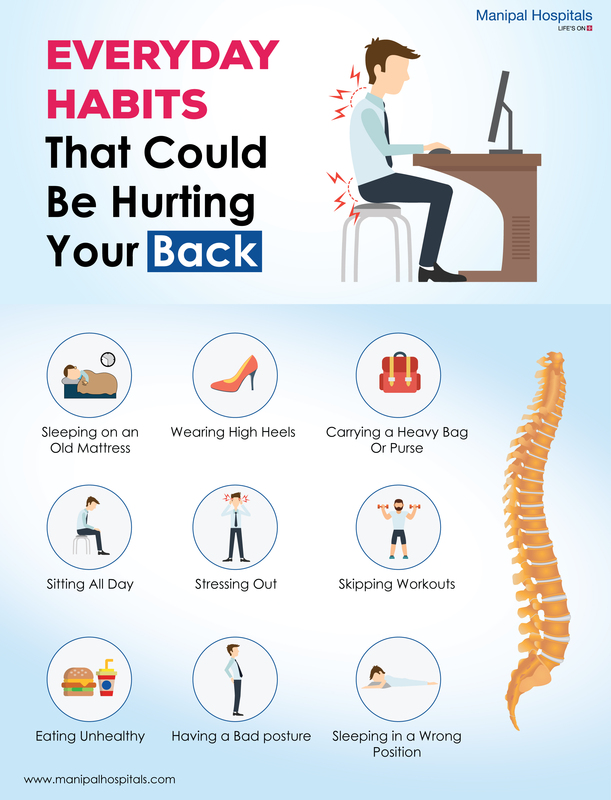 This infographic lists everyday habits that could be hurting your back. You should consider sleeping on an old mattress and wearing high heels. Also, keep in mind the effect of carrying a heavy bag or purse. Sitting all day is another negative habit that could affect your back in a negative way. Sleeping in a wrong position and having a bad posture are also to be considered and should be avoid at any cost.